Dog relaxed, driver alert—scientifically designed music for road trips with your canine. Many dogs love to go for a ride — but traveling in the car can also be extremely stressful. If your canine friend can't settle down for the trip, gets the shakes, or pants excessively, now you have a drug-free solution with Through a Dog's Ear: Driving Edition. This psychoacoustically designed music strikes the ideal balance of keeping you alert in the driver's seat while soothing your dog's nerves for a comfortable, pleasant journey. The breakthrough research behind Through a Dog's Ear shows that the canine nervous system is extremely sensitive to sound — and that special arrangements of classical music have a profound soothing impact on anxious dogs. 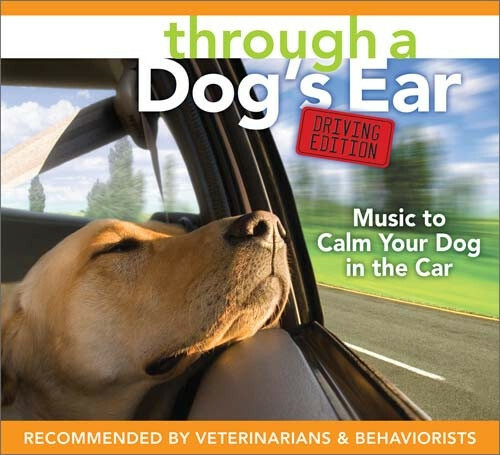 Now sound therapy expert Joshua Leeds brings you lively yet relaxing music designed especially for use in the car with Through a Dog's Ear: Driving Edition. Whether you're taking your four-legged friend for a short spin across town or on a long road trip, here is an invaluable musical companion to help both you and your dog enjoy the ride. Includes Travel Prep — an additional 20 minutes of music to prepare anxious dogs for riding in the car. Music performed by Lisa Spector, concert pianist. Review for Through a Dog's Ear: Driving Edition Review by Christine K.